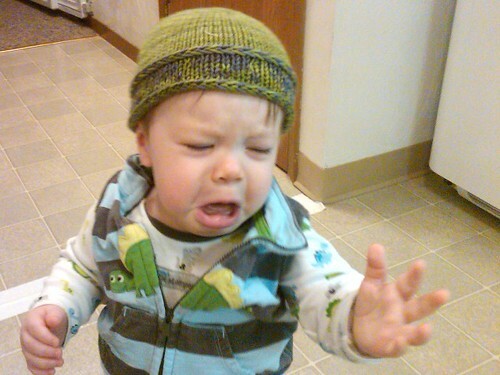 anything that a baby receives that is handmade with care is heirloom quality. I’ve crocheted many a baby layette and it still amazes me how few babies get handmade gifts anymore. 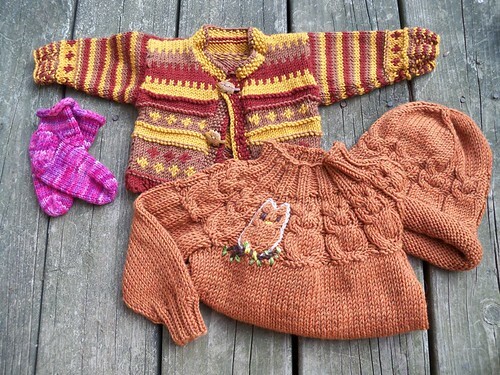 Well Random Internet Commenter, prepare to have your faith restored, because my friends have been knitting up a storm! 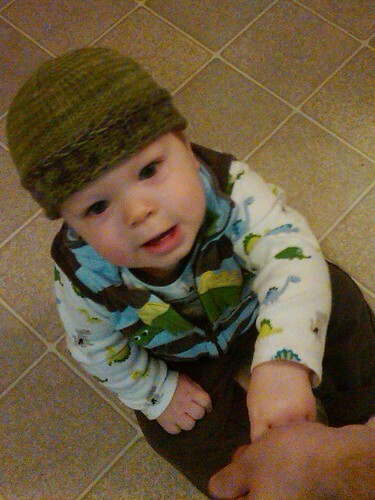 I am honored that my baby has received so many handknits. Honored and more than a little blown away. Along with the blanket my not-yet-here baby has also received sweaters, booties, a hat. SO MANY wonderful things. This little top is especially precious. My awesome boss Marcie died last spring. 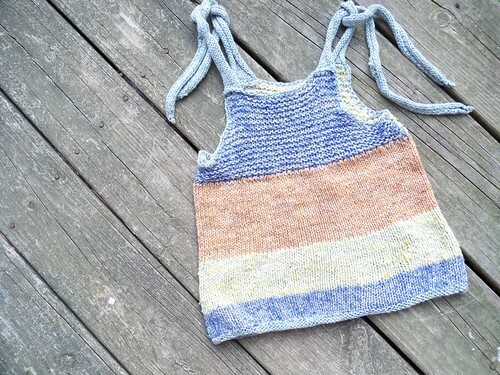 She knit this top for a coworker’s new little girl the summer before. And this summer my coworker passed it along to me, with Marcie’s original note and one of her own saying that of course Marcie would want me to have it. Knitting for impending humans feels like improving their chances. It feels like throwing a line out into the ether and towing them in. Preparing the path, paving the way, and making it clear to the fates that there are people looking out for this kid, and expecting them. Thank you everyone. You’re all amazing. 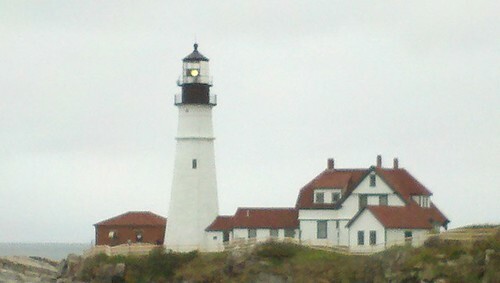 We took a tour of New England this weekend. That wasn’t really the point, but it’s as good an explanation as any! Saturday parts of Vermont were under water and the rain was still coming down. But we were on the road by 6:45am headed to Maine for a wedding! The wedding was beautiful, even if they did have to move it inside. Our friends are farmers and so everyone there agreed that rain on a wedding day is good luck, not a problem. Our next stop (because Neil is awesome and enabling) was Knit Wit in Portland where I picked up an extra set of dpns (whew). Then we headed to Fort Williams where the continuing rain just made standing on cliffs overlooking the stormy ocean feel more stoic. From there we met up with Neil’s friend, then my friends. The next day we swung through Massachusetts for dinner (you know, because we clearly needed 4 states in 3 days) Finally we visited my family in NH on Monday. You know I don’t come to you often with causes asking for money. But this one is important to me. My friend Jenn’s dog needs help. Jen (as in Jen of Old Post Farm) fosters dogs. Not just one or two though; sometimes she has 10 or more dogs at her place, all waiting for their forever homes. And she fosters puppies. Not cute, 8 week old puppies that need to be socialized; but pregnant pit bulls and their litters of 8 puppies that all have diarrhea and need to be bottle fed. Jen has a big heart (and a big, puppy-proof garage). Last year she fostered FIFTY-THREE (that’s 53) dogs all the way to their forever homes. Jen has put her own time and money into caring for other people’s dogs, more specifically dogs that are between people. But Jack is her own dog, her first dog. He has a blastomycosis infection. Blastomycosis is hard to treat, the outcome isn’t always guaranteed, and it will cost several thousand dollars to treat. Her foster organization helps with the vet bills* for the fosters, but no one is helping her with Jack’s vet bill – except us. 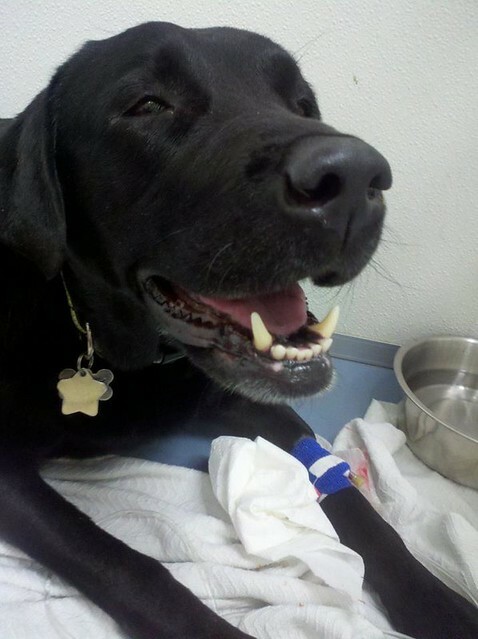 So if you can spare $5 please click through and donate a little to the Save Jack cause. If you can donate more that’s great. Don’t think of it as just helping Jack, think of it as also helping Jen so she can keep helping more and more other dogs find their forever homes too. *but just the vet bills. All those fosters? Jen feeds and cleans and buys snacks for them out of her own pocket. 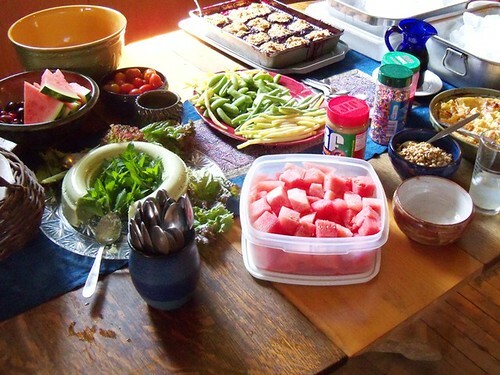 53 dogs eat a lot of food. 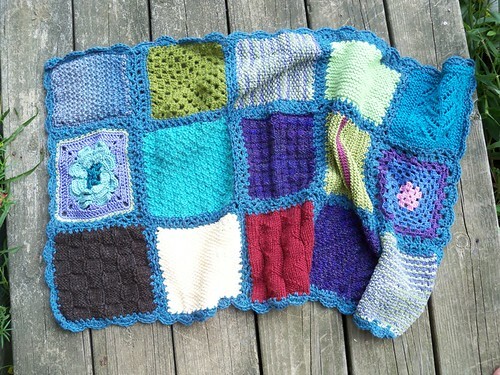 This was possibly the most beautiful Rhinebeck yet (it’s only my 3rd). Blue skies and white puffy clouds greeted us Saturday morning- which was a welcome change from the sheeting rain we drove down in on Friday*. We got there first thing that morning and were at the front of the line. My friends Amy and Dana love Cephalopod yarns so we headed there first before the booth got too crazy. I didn’t mean to buy a lot of yarn, I swear… But ended up coming home with 2 skeins of sock yarn for socks. Another 1400 yds in two colors for a sweater. Some lace weight and some fiber. I thought I was being good and not buying a spindle. But I think next time I’ll just get one. They take up less space! Possibly my favorite purchase is the pottery though. I LOVE my new casserole dish with the goats on it! 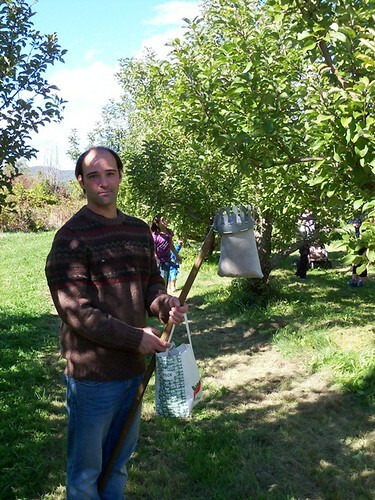 We went apple picking this weekend! I know a lot of the orchards in the north east lost their harvest due to the weirdly warm spring which included some nasty crop-killing frosts. Luckily we missed the worst of that. But their were some varieties that didn’t survive. And the varieties that did, were a lot lighter than usual. 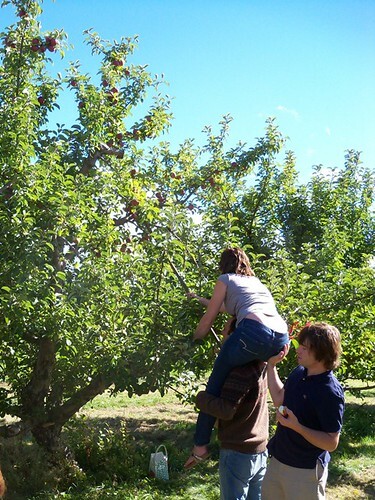 This was the LAST weekend for apple picking – and usually it goes well into october! We got a lot of macouns and liberties. 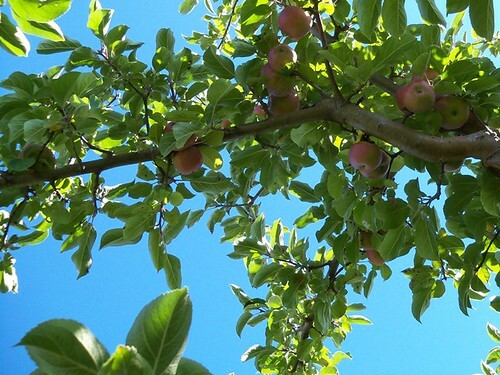 A few cortlands, and a selection from the old heritage trees that were at the back of the orchard. Best line of the day came when we asked one of the employees what kinds those apples were and he said “oh, you probably won’t like this one.” So then of COURSE we had to try it! 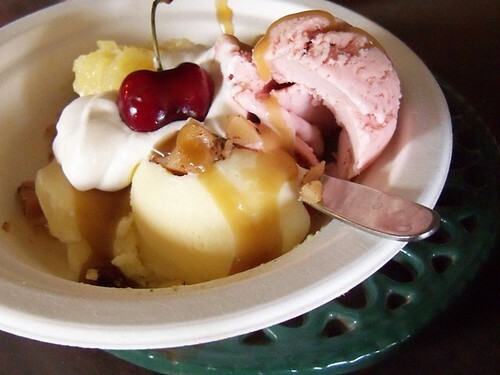 I went to an ice cream social at a friend’s place this weekend. Complete with home made ice cream! 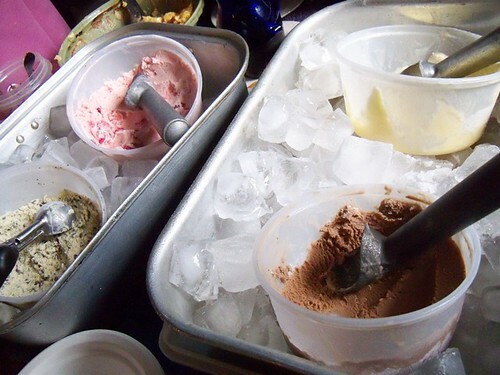 In four flavors even: chocolate, vanilla, strawberry, and mint chocolate chip. Along with good food there was bocci, swimming in the creek, chatting on the shady porch. And music! 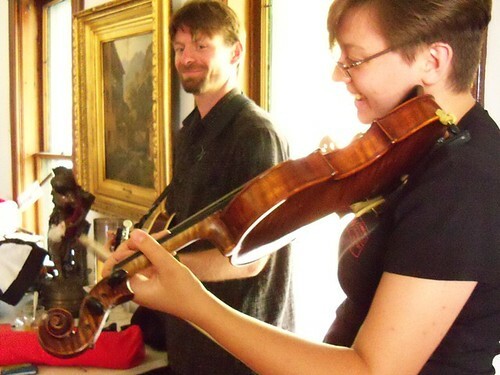 Really good fiddle and mandolin music. 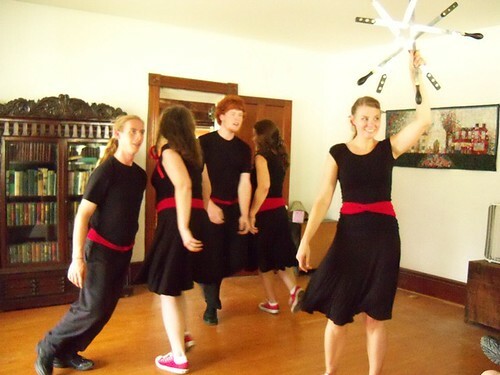 Dancing with swords. Just for good measure. Maybe that’s not part of everyone’s summer. But I rather like it! Follow Friday is a thing people do on twitter. It’s a way of recommending cool/interesting/entertaining people you should be aware of. I’m feeling rather like there’s nothing going on around here that’s blog worthy, so I’m going to make a recommendation instead. Gaze as it is used here comes from a usage popularized by French psychoanalyst and psychiatrist Jacques Lacan and refers to the anxiety inherent in the awareness of one’s visibility to others. In being viewed, the subject of viewing loses some control over how that viewing is perceived. Gaze requires theory of mind – the ability to understand that others have their own reactions and emotions separate from one’s own. Yeah, so the subject is a little (ok, a lot) deeper than my standard fare of knitting, chickens, and gardening. But I’ve been fascinated with her whole series. 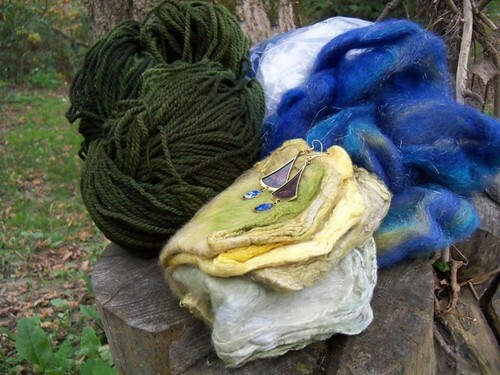 Start with the first post on the male gaze or with the one about the crafter’s gaze (featuring my Morningtide mitts!) Either way I highly recommend it. And I understand she’s not done with the subject yet! Neil is GRADUATING TOMORROW!! I’m so proud of him!! He went back to school after working with troubled teens for several years, when he realized he really wanted to do more. But he knew he needed to actually get a degree in psych before he could even make further plans. 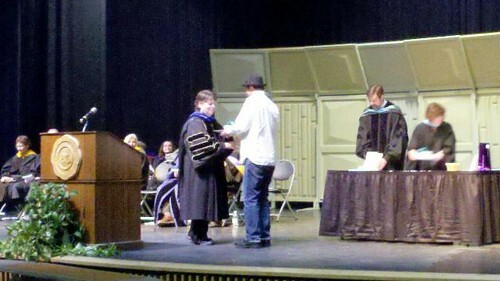 That’s a crappy cell phone photo of him getting an award for academic achievement in a non-traditional setting. He’s at Johnson State College as part of their external degree program (which is set up for grown ups who want to finish their degree but also have jobs, mortgages, real lives, can’t live on campus, etc…) and yes, he’s wearing a fedora! Tomorrow I’m starting the TWELVE POUND ham before we even head to the graduation ceremony. Tomorrow afternoon there will be food, friends, a bonfire, and good times! I can’t wait, I’m so proud!! 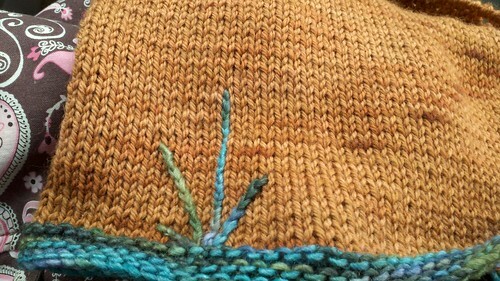 I admit it, there are plenty of little things I knit that never make it to the blog. But today I got some especially adorable pictures, and decided I need to correct at least one omission. And since she and her husband are pretty geeky people, I thought they’d appreciate the binary coding in Digital Age. 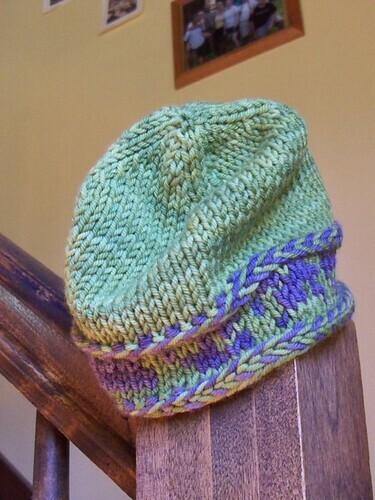 The hat is knit out of the leftover Chris yarn from Schaeffer. I had more green leftover so that became the body of the hat. The best part is I’m told his snow suit this year: it’s gray and green. I WIN! 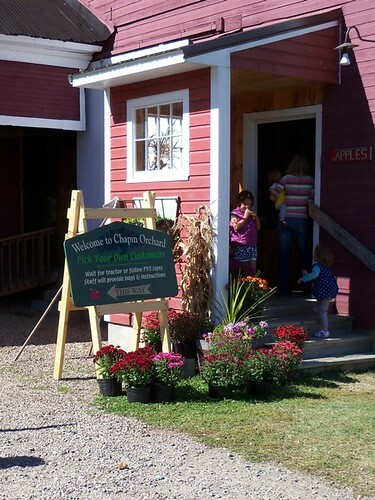 Rhinebeck was FABULOUS!! In case you were worried I wouldn’t enjoy myself :-P As I can be heard to explain on the Subway Knitter’s podcast, I’ve decided Rhinebeck is part fiber festival, part knitters’ convention. 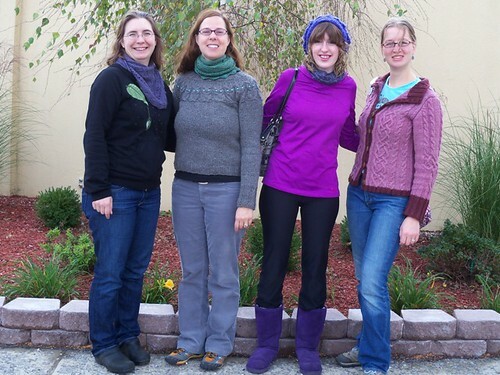 Amy and I were interviewed by the Savvy Girls as well, I can’t wait to hear their take on Rhinebeck. 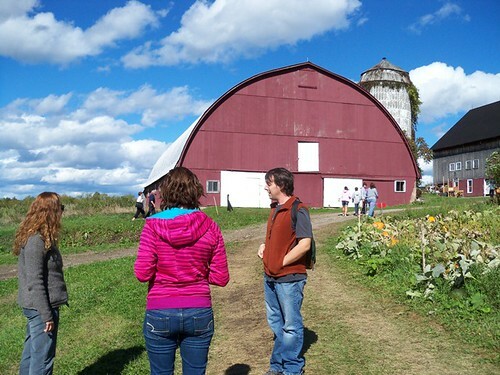 It’s great to shop, see the animals, watch the demos, and eat delicious food, but my favorite part of Rhinebeck is being with my people, both new friends and old. People who completely understand taking pictures of shawls and needing to stop a random person in the street and ask what pattern they used for their sweater. 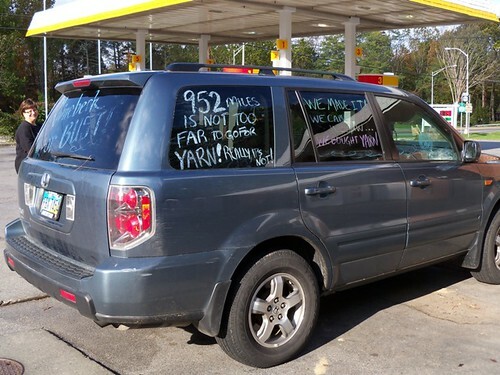 (that window says “952 miles is NOT too far to go for yarn!” I have no idea who these ladies are, but clearly they’re my kind of people.) People who understand buying fiber when you don’t even know how to spin it up yet, and who will turn the car around to go back to that yard sale with the spinning wheel. I laughed myself silly reading the titles at Sheep Incognito. I blushed furiously when people commented how much they love my patterns and photography (Thanks guys, you made my whole weekend!) 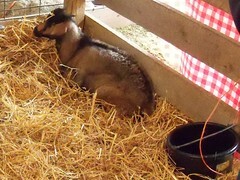 I pet sheep and looked at alpacas, and watch a little boy walking a littler goat on a leash. 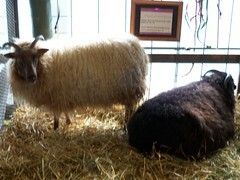 I went to the Ravelry meetup on Saturday and Sunday. The meetups are a great place to chat with knitters, spinners, bloggers, hula-hoopers, because you’re not interrupting any other activities. 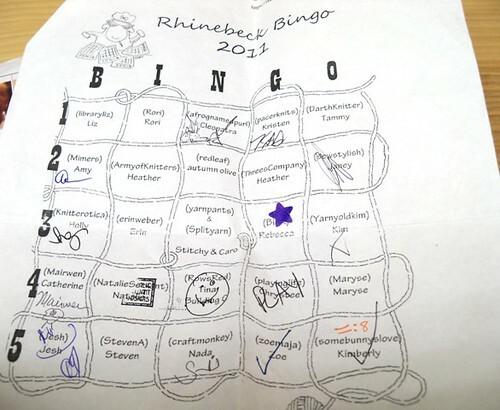 I found lots of people playing rhinebeck bingo, and almost got bingo in 4 different ways. 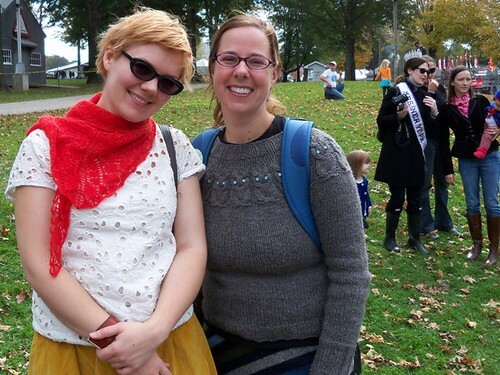 My friend Amy* had her picture taken with Ysolda.